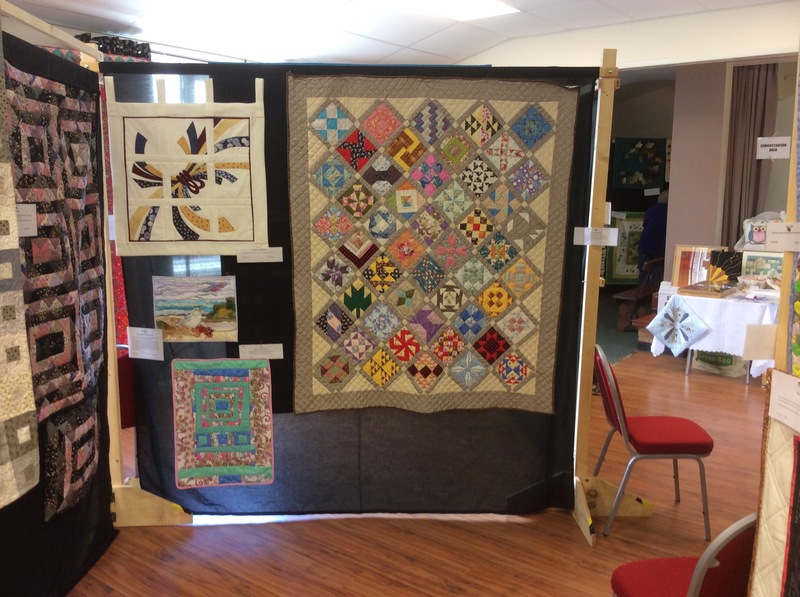 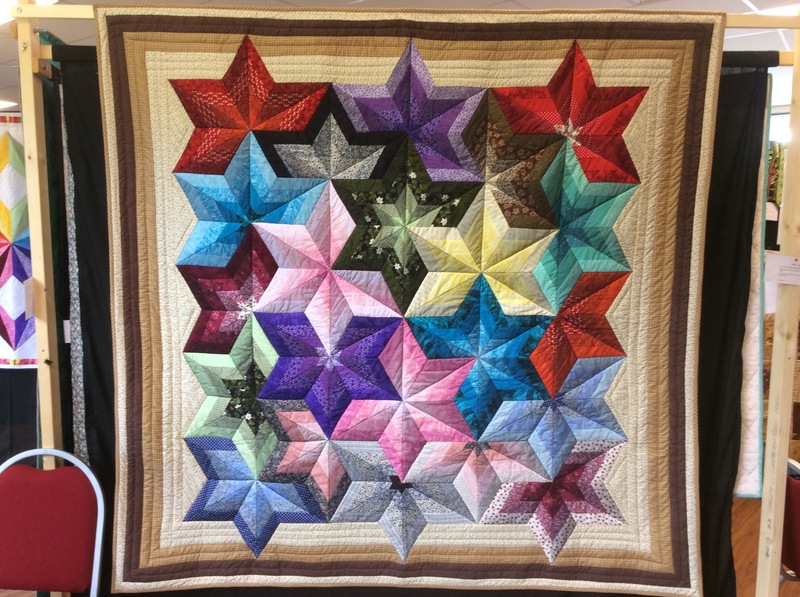 This weekend saw the third “Quilts in the Wolds” show at Ludford Village Hall organised and hosted by the Lindsey Patchworkers and attended by around 300 visitors. 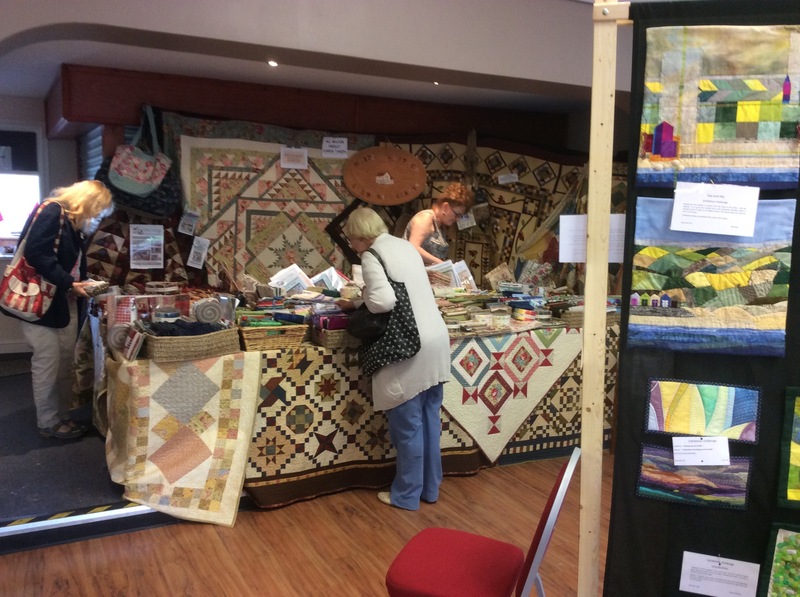 The two day event was a great success with a steady footfall throughout Saturday and Sunday. 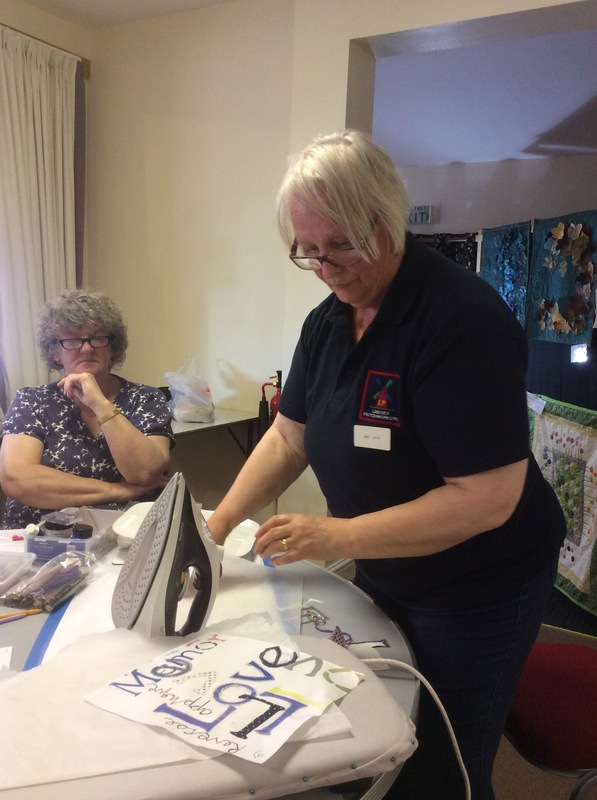 The four pounds entry included tea/coffee and a choice of delicious home made cakes which proved particularly popular with the male contingency……so much so anyone would have thought they didn’t get cake at home! 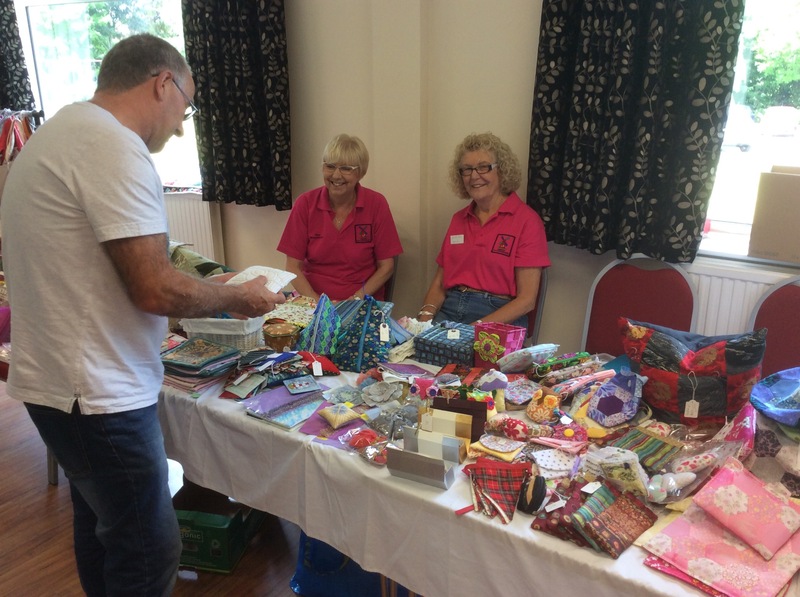 The two trade stands appeared to be doing good business. 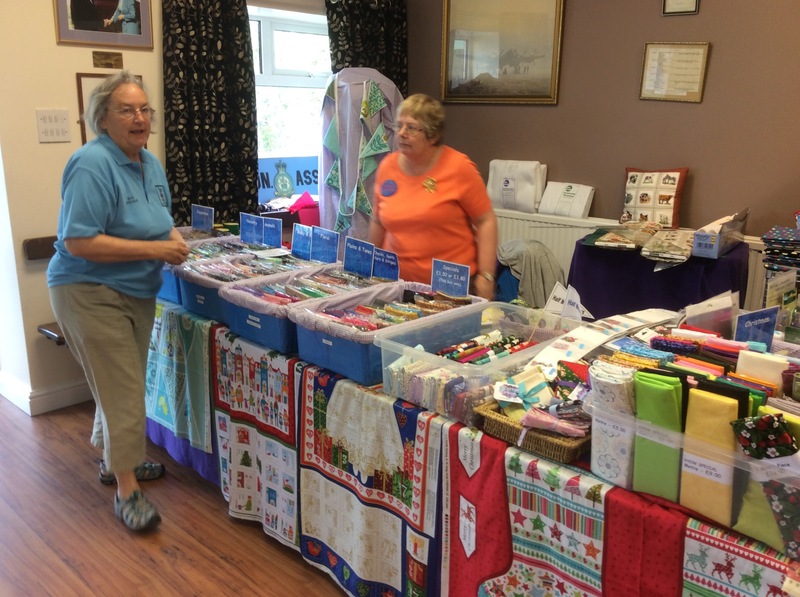 There was also a sales table brimming over with lovely items made by the group. 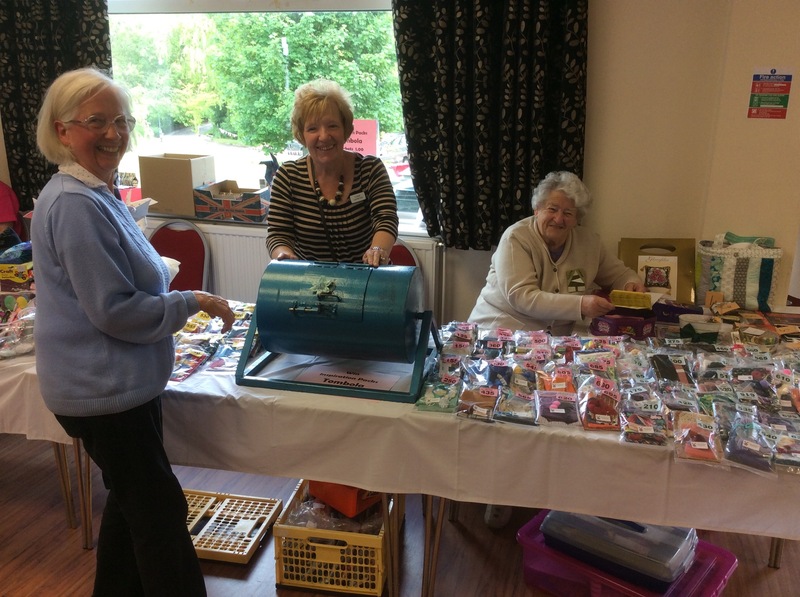 The “Inspirations” tombola was very popular – every prize consisted of a small bag containing colour coordinated fabric and notions, perfect for inspiring your next small project. 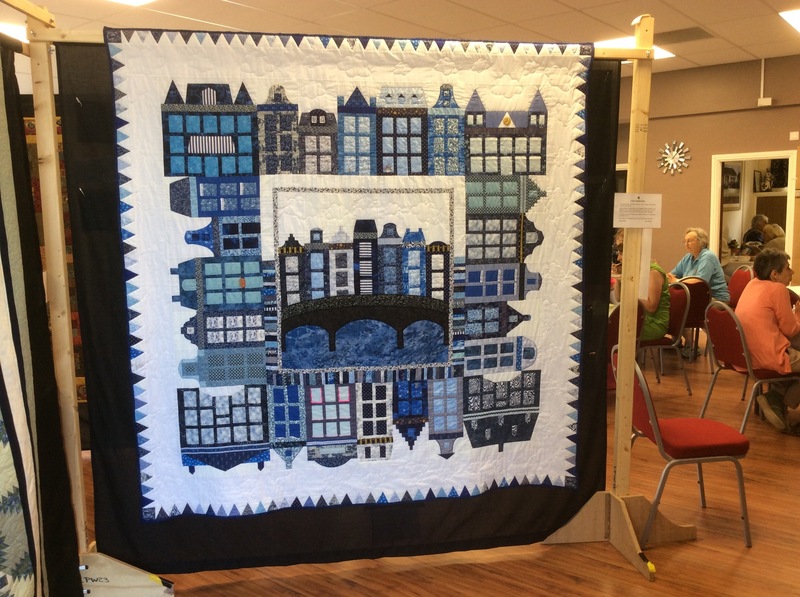 Throughout both days members also hosted talks, demonstrations and workshops on the stage at the rear of the hall. 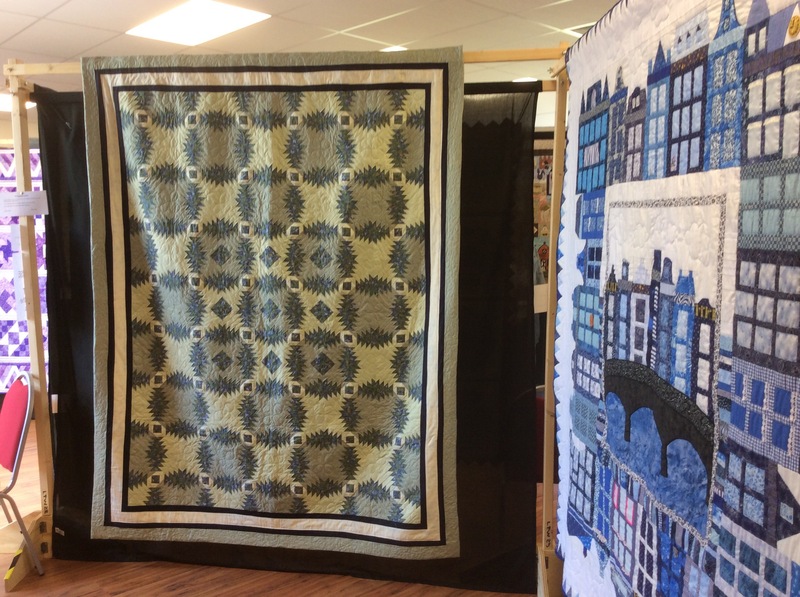 Pat Cave can be seen here demonstrating various methods of applying lettering to fabric. 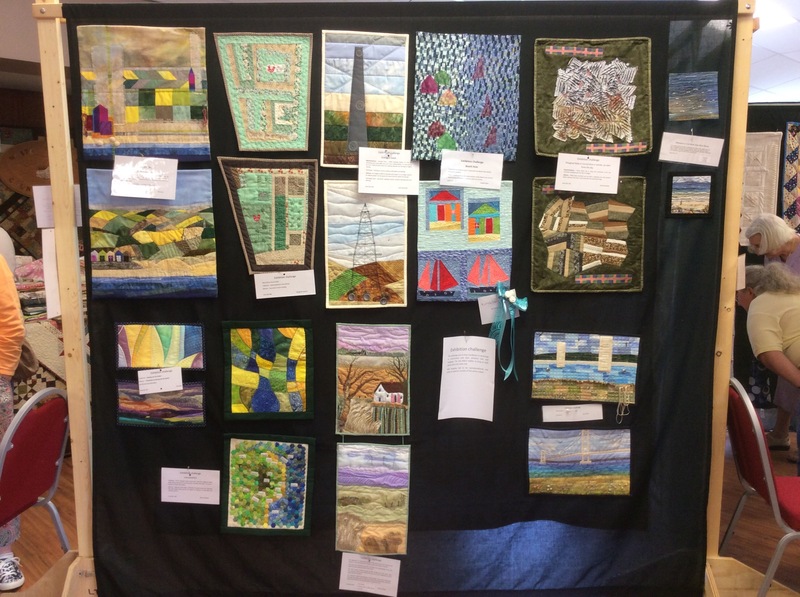 The Lindsey Patchworkers exhibits included an interesting mix of traditional, contemporary, miniature, and art quilts, some were machine stitched while others were completely done by hand. 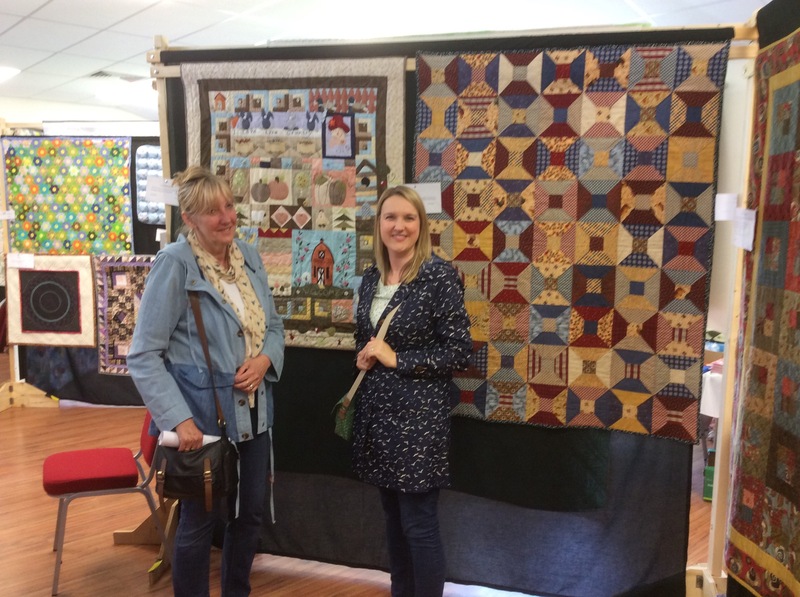 All in all it was a wonderful weekend and lovely to see so many people enjoying the show. 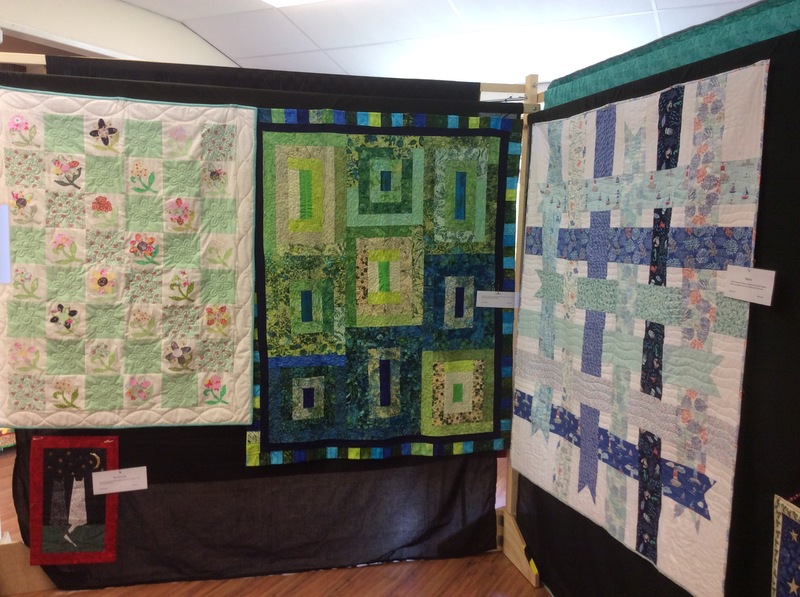 The following photos show a selection of the quilts that were on display.